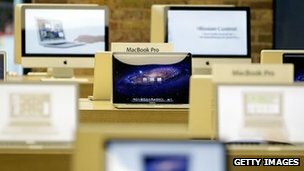 Apple has said it is developing a tool to "detect and remove" a Trojan that is said to have infected more than half a million Mac computers. It said it is working with internet service providers (ISPs) to disrupt the command network being used by hackers to exploit the malware. Trojans are infections that can expose computers to control by hackers. It is Apple's first statement on the threat. It issued patches to prevent the malware's installation last week. The two security updates were released eight weeks after Java's developer Oracle issued a fix for other computer systems. In a message posted on Apple's website's support section, the company said it had fixed a "Java security flaw for systems running OS X v10.7 and Mac OS X v10.6". It suggested users of Macs running earlier versions of its system software should disable Java in their web browser preferences. In addition, Apple said it was working with ISPs to shut down networks of servers hosted by the malware authors, which the code - known as Flashback - relies on "to perform many of its critical functions". Russian anti-virus firm Dr Web, which has tracked the scale of the botnet, said it believed around 650,000 machines had now been infected. The company's chief executive, Boris Sharov, told the BBC that since the Trojan was publicised, they have seen downloads of their anti-virus software increase by 28,000%. "The thing that we have proven to the community is that people should care about their security, even on Macs," he said. According to a timeline of events posted on its website, Dr Web said activity surrounding the virus began as far back as February. Traditionally, Apple has promoted the fact that its Macintosh line is largely free from viruses and other similar threats due to the fact almost all malicious software is designed to exploit computers running on Microsoft Windows. McAfee Labs' Dave Marcus told the AFP news agency: "All the stuff the bad guys have learned for doing attacks in the PC world is now starting to transition to the Mac world." "Mac has said for a long time that they are not vulnerable to PC malware, which is true: they are vulnerable to Mac malware." The security firm F-Secure has posted detailed instructions about how to confirm if a machine is infected and how to manually remove the Trojan. The number of personal computers shipped worldwide rose more than expected in the first quarter, but the bump did little to mask the larger challenges for the industry. Gartner Inc. said Wednesday that there were 89 million PCs shipped in the first three months of the year, an increase of 1.9 percent from a year earlier. That's above the research firm's earlier expectations of 1.2 percent. Another research group, IDC, also announced Wednesday that shipments were up 2.3 percent, above its expectations of a 0.9 percent decline. The reports may have beat expectations, but confirmed that the PC industry is in a state of flux. Personal computers have taken a backseat to tablet computers such as the iPad in the U.S. and other industrialized nations. But Gartner found that PCs also are falling short of expectations in other markets worldwide, including China and India, where computer ownership is low. Gartner says the quarter serves as a warning to the industry that PC makers cannot rely heavily on growth in these regions. PC vendors typically see a lull in sales during the first quarter following the holiday season. But Gartner's results reveal worse-than-normal shipment growth as consumers and some businesses are opting instead for smaller, sleeker devices. The industry was also dealing with a shortage of hard drives, which had a limited impact on the period. Gartner said that PC shipments declined 3.5 percent in the U.S., which is better than the 6.1 percent decline it anticipated. Shipments to Asia rose 2 percent, weighed down by weak demand in India and China. Shipments to Latin American declined 3.2 percent. Shipments to Japan rose 11.5 percent and those to the larger Europe and Middle East region increased 6.7 percent. IDC found similar global trends but was slightly more optimistic on the industry's future. "History has shown that periods of slower growth are followed by recovery as improving technologies make replacements as well as new purchases increasingly compelling," Loren Loverde, IDC's vice president of worldwide consumer device trackers, said in a statement. "As a result, we expect PC shipments to pick up significantly by the fourth quarter." Hewlett-Packard Co. and Lenovo Group Ltd. were the standouts during the period, according to both firms. Gartner found that Hewlett-Packard strengthened its position as the market leader, accounting for 17.2 percent of the world's shipments during the quarter. No. 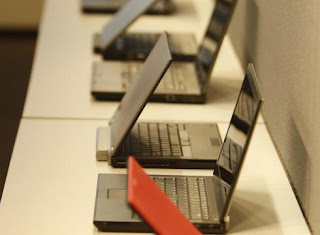 2 Lenovo was a strong performer as well, increasing its shipments by 28.1 percent. It has a market share of 13.1 percent. HSI’s investigation revealed that, as part of the alleged scheme, Harper would contact reputable dealers on eBay and hire them to sell the counterfeit software. According to investigators, the defendant allegedly instructed the sellers how to list the software, describing the product as “new” and authentic. The sellers would provide Harper with the payment and the customers’ addresses, and the defendant would ship the counterfeit software to the unsuspecting buyers. 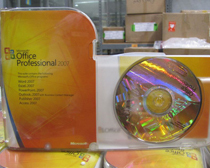 Based on evidence gathered during the probe, investigators believe nearly 1,000 counterfeit software packages were sold. Investigators estimate, based upon the manufacturer’s suggested retail price, the seized software would have retailed for approximately $150,000 had it been genuine. Computerworld - Whenever I hear a technical person say, "I just got promoted into management," I know he's in for a rough ride. Because chances are he doesn't understand what he's gotten himself into, and whoever gave him the job hasn't prepared him well. Very rarely do they realize that in technical work, this new role isn't a promotion -- it's a career change. Paul Glen is the CEO of Leading Geeks, an education and consulting firm devoted to unlocking the value of technical people. You can contact him at info@leadinggeeks.com. 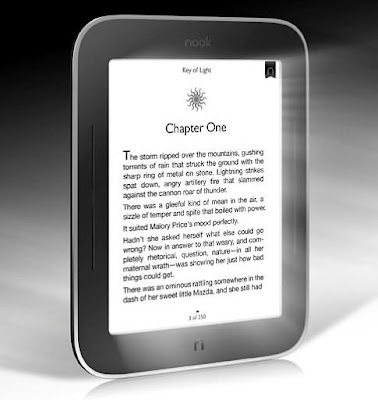 A version of the Nook SimpleTouch is now equipped with front-lighting, Barnes & Noble announced Thursday. The new Nook SimpleTouch costs $40 more than the standard version with the light being the only difference; other features remain the same. Built-in lighting has become the next logical step for e-ink readers. On April 6, TechCrunch found that Amazon had acquired patents for a front-lighting design in 2010. The company has offered Kindle cases with built in lighting for some time, but on this count Barnes & Noble has beaten Amazon to this feature. The new Nook benefits from "Flex Lighting," a thin LED lighting film that sits like a skin on top of the e-ink display. The lighting relies on one or two LEDs, according to The E-Book Reader, and its brightness is adjustable. The standard battery life estimate for a Nook SimpleTouch is two months of one hour of reading per day. Barnes & Noble states the device will still last "over one month" if the reader is using the lighting. Hilariously, Barnes & Noble is marketing the Nook SimpleTouch toward couples beleaguered by a specific situation—where one person wants to read later than the other ("End bedtime reading debate—when you want to read & your partner wants to sleep," reads the features list). We expect the Nook SimpleTouch will find a much wider audience, though the $139 price tag is a bit steep compared to the $99 regular Nook SimpleTouch. We'd point out that it's also only $60 less than the Kindle Fire; which reader you'd choose depends on your dedication to e-ink. The device is available for pre-orders today and will ship May 1. You may recall Samsung's amazing concept video released last December for a mobile device consisting entirely of a flexible AMOLED display. The translucent device translated languages on the spot, projected images in 3D and performed other awesome tasks. While a super-phone like that one may still be a ways off, flexible displays seems to be just right around the corner -- and Samsung has given theirs a name: "YOUM." According to The Verge, the company filed an application to the US Patent and Trademark Office on March 16 for YOUM's stylized logo, shown below. LOOK:In addition, Samsung's YOUM flexible display now has its own page on the Korean Samsung Mobile display website. The site features a diagram (below) demonstrating the differences that exist between Samsung's flexy display, an LCD display, and an OLED display. In addition, Samsung's YOUM flexible display now has its own page on the Korean Samsung Mobile display website. The site features a diagram (below) demonstrating the differences that exist between Samsung's flexy display, an LCD display, and an OLED display. Slashgear explains that what could make Samsung's YOUM display thinner, lighter and unbreakable, as the company claims, are its "film-based encapsulation and TFT layers," which replace the usual glass layers featured in LCD and OLED displays and "make them more resilient to damage along with allowing more flexibility in device design." 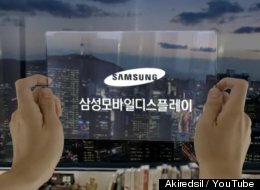 Samsung first showed off a prototype of the display at CES 2011, which, according to CNET, was 4.5 inches wide, less than .33 mm thick and had a screen resolution of 800 x 480 pixels. And, just a few days after Nokia released a prototype of its bendable Kinetic Device last October, Samsung Investor Relations VP Robert Yi said the following in a quarterly earnings call: "The flexible display we are looking to introduce sometime in 2012, hopefully the earlier part. The application probably will start from the handset side." So far it seems Samsung's plans are pretty much on track. Hopefully, we'll be meeting its YOUM displays in person by the end of this year. What do you think of these flexible displays? Would you buy a bendable device? Let us know in the comments! 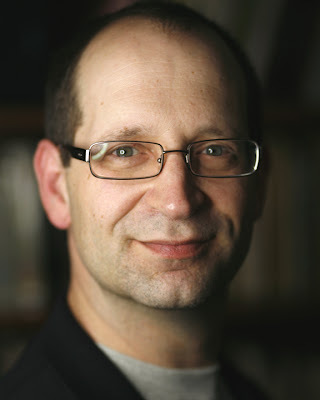 EssayWriterUK.com offers high quality essays, written by professional writers. Buy essay on us to ensure the quality of your essay. Copyright © Gadgets to Update.